HBO has been showing the movie The Back Up Plan. I've already watched it 2 years ago since JLO is one of my favorite actresses when it comes to romantic comedy. The movie gives me the same "kilig" feeling. 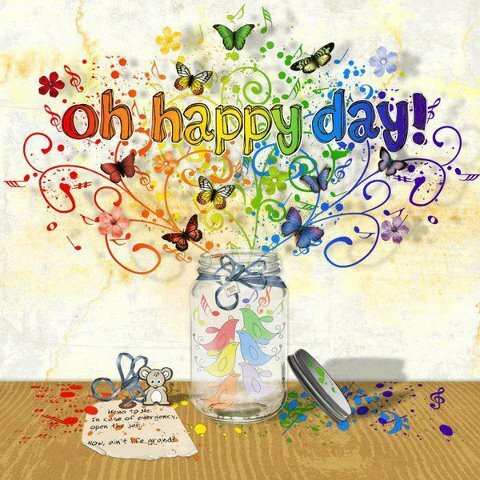 It's a shivery, chilling feeling, a "feel good" one that you feel when you're infatuated or in love. JLO played as Zoe, a single woman who decided to get artificial insemination. On the same day, she met Stan (Alex O'Loughlin) whom she accidentally met in the taxi. By coincidence or fate, the ran into each other once again in a farmer's market. The handsome Stan was selling cheese. :D When they met at a pet store again, Stan took advantage of the opportunity to as Zoe on a date which turned out to be a disaster yet a fun dinner date. To make things up with Zoe, Stan invited her to come to his farm in the weekend. Later he found out that Zoe is pregnant. He was shocked with the confession but stayed anyway. There were several ups and downs that they had to go through in the movie. Just like normal couple, they quarrel a lot. Until they gave up on each other but still got together because Zoe found out the Stan was really in love with her because of a Bumbleride's double stroller. He asked the company to make a stroller for Zoe's twins. I read a friend's status in Facebook. She just shout to the world out that she's pregnant. It's going to be her and her husband's first baby. Wow! Time really fly that fast. Isn't just few months ago that they exchanged titanium wedding bands and were so happy being married to each other? My friend looked so in love with her husband. I'm really happy for her. I'm happy for my friends and I can't wait to see them real soon! I was making a report one day at the office. It was a heck of report. Something that I was really working hard for since I also have to present it to my bosses. When all of a sudden, my computer went dead on me! What a disaster! And there wasn't any server disaster recovery at that time! I really was too devastated because I haven't save whatever it is that I was doing. So when I turned my computer back on, I had to do everything all over again. What a pain. I'm just glad that my bosses were kind enough to give me another week to finish my report and present it to them. My boyfriend and I went out to buy some groceries last night. I was planning to just purchase some bath accessories and also my bathroom necessities. But then, like the usual, whenever I get to the groceries section, I can't help but also buy the not-so-necessary things. So I end up going out of my budget. Sigh. Making my grocery list doesn't work for me, I guess. But I got an idea. The next time I shop for my groceries, I won't fill my wallet with cash anymore. I'll just bring the cash intended for the list. I would be able to stick to the budget that way. :D I just hope there isn't any ATM machines available in the grocery store! LOL! 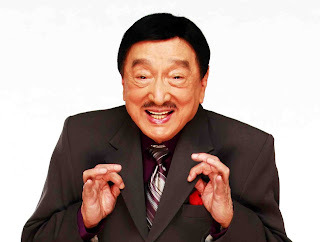 Dolphy, the Comedy King of Philippine Cinema died last night. He suffered from Chronic Obstructive Pulmonary Disease. Filipinos are now mourning for someone who have made them laugh. Dolphy will truly be missed! I can just imagine how hard it would be for my brother to leave his son behind. He will soon be leaving to work as a nurse in the Middle East in 3 or 4 months from now. Although I'll be there to take care of his son and our Mother, I know as time passes by until he leaves, he secretly cries with just the thought of leaving. He doesn't tell me how he really feels for now. My brother is too busy at home anyway. 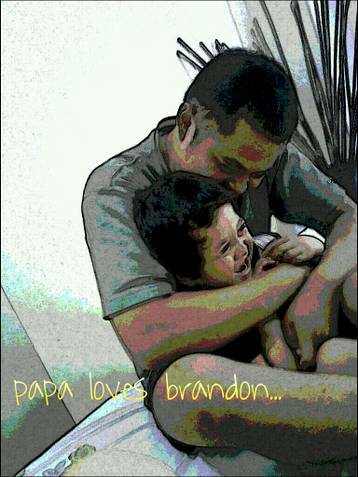 But when he leaves, I will definitely tell him that his son will be in good hands because I'll take good care of Brandon like my own. We will be sending him holiday cards and make sure to communicate and update him of any developments via the social networking sites. I know words wouldn't be enough but being far from your loved ones is very difficult. He just have to sacrifice being away from his son for now.